There are distractions that lead us away from the center of the Christian faith. Smith addresses these distractions and creates an atmosphere of debate and thought-provoking reflection. In a recent poll of American Christians, when asked what worship means, two out of three said that they did not know; only one out of four said that worship is for the sake of honoring God. 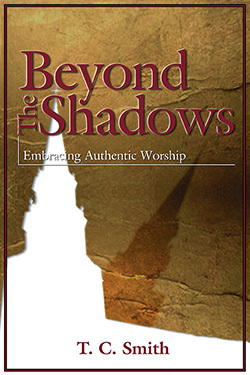 Smith defines this lack of knowledge of true worship as "worshiping God in the shadows." He goes on to define shadow as "something with reality or substance" or as the "protection of a shelter." 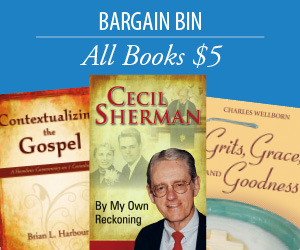 Smith looks beyond the shadows of worship by addressing topics such as the Bible, ordinances and sacraments, the glories of the past, pessimism of the future, worship techniques, idolatry, admiration, familiarity, secondhand religion, and the "last resort." He looks at these within the context of our love for God and others. T. C. Smith, Professor Emeritus of Furman University, is a distinguished New Testament scholar and minister. He has taught at the Southern Baptist Theological Seminary, the Divinity School of the University of Chicago, Berkeley Baptist Divinity School and the Graduate Theological Union of Berkley, and the American University of Beirut. Since retirement, Smith has taught adjunctively at Southeastern Baptist Theological Seminary and Davidson College. He holds degrees from Louisiana College, Southern Seminary, and the University of Edinburgh.